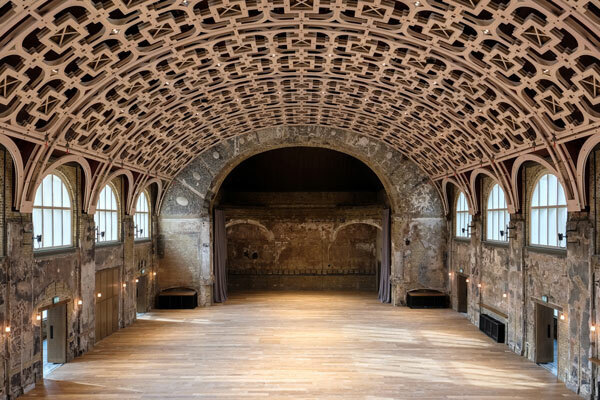 Following a devastating fire in 2015, Battersea Arts Centre is once again opening its door to event organisers. 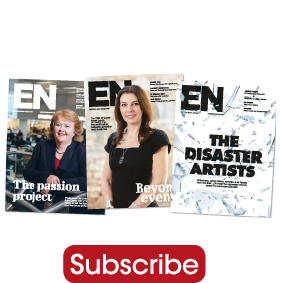 David Jubb, artistic director and CEO at Battersea Arts Centre, tells us more. Tell us a bit about the history of the venue. The building has deep roots in London’s civic life for 125 years, originally built as a Victorian Town Hall in 1893. The Grand Hall was created as an entertaining space for the people of Battersea – something which it has certainly lived up to. Our building has a radical and innovative history. It’s a place in which London’s first black Mayor was elected in 1913, a venue where women like Emmeline Pankhurst led campaigns for suffrage, a space where poets such as Allen Ginsberg have performed along with bands like Fleetwood Mac, The Jam and Basement Jaxx, not forgetting creative visionaries like Vivienne Westwood and Grayson Perry who developed new ideas in his own studio right here in the building. In 2015, a devastating fire almost completely destroyed the entire building and thousands of traces of history. Thanks to the amazing work of 80 local firefighters, the fire was contained within the Grand Hall, and three years later we reopen it following a stunning rebuild by award-winning architects Haworth Tompkins. What kind of events does the venue host? Battersea Arts Centre’s rich heritage, beautiful architecture and creative flair make us an ideal location for those looking for something a little different for their next event. The Grand Hall is flooded with natural daylight and is the perfect space to host inspiring product launches, networking receptions, conferences, meetings and exhibitions. The Grand Hall can host up to 300 guests for seated dinners and is serviced by its own in-house kitchen and adjoining bar. The venue can also host up to 600 standing or theatre style, and up to 800 for a gig. The Grand Hall has its own private entrance, with guests arriving into the adjoining Octagonal Hall, which has a spectacular mosaic floor and beautiful stained glass-domed ceiling –ideal for welcome drinks and coffee breaks. 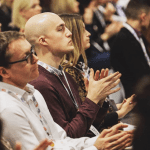 What is the offering for exhibition organisers? We’ve hosted a range of exhibitions at Battersea Arts Centre and within the Grand Hall, for instance the Vintage Wedding Fair, which saw 65 exhibitors on six-foot trestle tables. We have also hosted Battersea Power Station’s huge exhibition of Power Station-inspired art across multiple spaces creating an artistic adventure for thousands of visitors. It’s a really exciting time for us right now as it’s the first time in over twelve years that the whole building is open to the public. This gives us the ability to host building-wide exhibitions. We’re now open for bookings in January, August and September of 2019. The Grand Hall is available from February to December 2019, inclusive, and from March to December 2020, inclusive. What support can you offer event organisers? The new Grand Hall has an advanced technical capacity and AV infrastructure meaning it can deliver innovative events like never before. This includes increased video and sound tie lines in more areas, optimised rigging positions for projectors. We also now have 18 acoustic banners which allow improved acoustics, enabling us to switch from ‘concert hall’ to ‘theatre’ to ‘spoken word’ set-ups. We have automated blackout blinds should your event need to remove natural daylight and a multi-skilled technical and production team to meet every client’s needs. What is the USP of the venue? There is literally no other venue like the Grand Hall. Haworth Tompkins Architects have worked very closely with our contractors to a very fine level of detail. We have retained the walls that survived the fire and conserved them ‘as-found’ in their scorched, post-fire richness and complexity. A dramatic new lattice ceiling takes inspiration from the original 19th century design, while bringing the space into the 21st century. The history of the building is writ across the walls, yet it has the technology to handle everything a modern event needs. The new Grand Hall Bar features a vibrant back bar installation by artist Jake Tilson, who meticulously recorded the damage in the weeks following the fire. And all the income generated supports our artistic and community programmes – so you know you are contributing to something worthwhile. Is there anything exciting coming up that you want to highlight? The reopening of the Grand Hall is being marked with the Phoenix Season – a five-month celebration of risk-taking and renewal. The first full theatre show in the Grand Hall is Missing by acclaimed physical theatre company Gecko – the show that was in the space when the fire happened and now returns to finish its run. The Grand Hall is available to host events from February 2019.